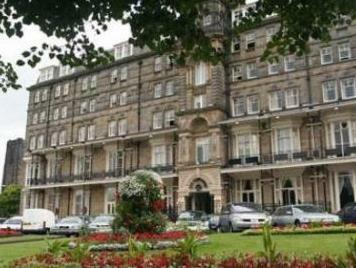 We booked The Yorkshire Hotel on the basis of onsite parking and breakfast included. However, on arrival it soon became apparent there was limited parking spaces of which there was none available and a sign stating £12 a night - not a sign of cost on either booking website or the hotel website. We paid to park in a car park down the road. Coming out of the lift and down the corridor we noticed a horrendous damp smell, which I imagine was the carpets as they were old and stained. As for the room, the only positive was the bed sheets were clean. The room was out dated and shabby and the pipes in the bathroom were creaky and noisy. This hotel is in dire need of renovations works. Breakfast was poor. We waited a good 10/15 minutes for one of the limited staff members to ask if we wanted tea or coffee as this was not help yourself like the food and the eggs were to be cooked fresh to order and ours never turned up – poor service. This hotel is expensive and we won’t stay again or recommend! You cannot fault the perfect location of The Yorkshire Hotel but the whole thing inside needs new carpet and a lick of paint! The staff were very helpful and the rooms were clean, just very dated. Slightly disappointed for over £100 a night. Really enjoyed our stay, has been a grand old place now a bit run down but excellent value for the money. Has a good restaurant and breakfast (either continental or full English) was really good value. Right beside main shopping area with lots of cafes. The Yorkshire hotel is in the center of Harrogate the shopping center starts just to the right of the hotel as you step outside, it also has a nice view of a park like area just outside the front door,however, the hotel its self is a little run down and is in need of a good referb but then you would not book it at the same price as advertised now. I came in really late and they were very accommodating with everything. The beds are not the best place in town (been in Harrogate plenty before) but you cannot argue with the location and rate. If you are looking for the best rate/location this is the hotel. If you are looking for comfort/luxury/facilities look somewhere else. I ate out from the hotel as Harrogate is very nice, the hotel was nice but it is a little tired and could do with a makeover! the music in reception was bad and unnecessary! when i arrived they had no record of my booking, although my reservation had been made more than 2 months in advance. however, there were rooms available and i was given one with, instead of a lovely view over harrogate parkland, an outlook onto a wall with an air-conditioning duct. the bar is excellent if you fancy a party and the whole street out the back of the hotel is party central, which was amusing and horrifying in equal measures! the room was quiet though and perfectly fine for an overnighter.